Three years ago, the world was introduced to the Clearwater Marine Aquarium (CMA), and its unique rescue dolphin, Winter, in the movie Dolphin Tale. The aquarium, a non-profit 501(c)(3), has been known for rescuing and rehabilitating aquatic animals, and the story of Winter the dolphin was a true one. Winter was saved in 2005 when she was found wrapped in a crab trap line at only three months of age. She was taken to CMA, and unfortunately lost her entire tail and two vertebrae. Winter’s story was extremely rare, as most dolphins do not survive being caught in crab trap lines. However, Winter has healed and has taken on a new swimming pattern. She has a prosthetic tail, but she can swim without it. She wears it for her physical therapy, about an hour a day. Winter won’t be released into the wild and has a permanent home at the CMA with the family that saved her. Winter’s successful story spread quickly, and was soon made into a movie, filmed at CMA. This movie was so inspiring to many children who have had amputations of their own, and they come from all over the world to visit Winter. “It’s a great reminder to come back and see Winter and all that she’s inspired,” said Nathan Gamble, who plays Sawyer in both films. 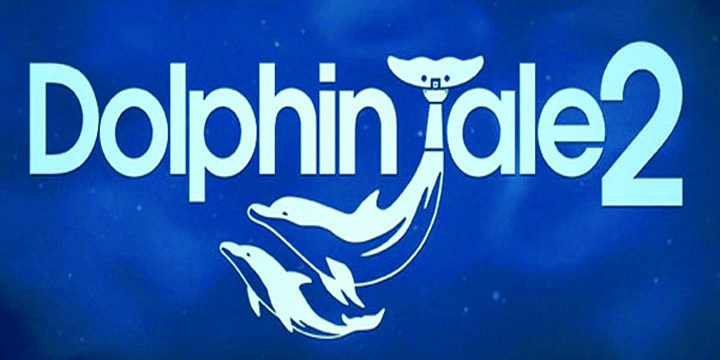 Dolphin Tale 2 has finished filming, and it will be released later this year on Friday, September 12. It will be a continuation of Winter’s story, as well as an introduction her new dolphin friend, Hope. Hope was discovered five years and one day later in a location very close to where Winter was found. She was found very young, about two to three months old, orphaned. Hope arrived at CMA on the day of the cast wrap up party for finishing Dolphin Tale. She is now healthy and curious, and is a permanent resident at CMA, residing with her new friend Winter. Both dolphins star in the upcoming sequel. “We had a ton of practice bonding with Winter for the first film, and we did the same with Hope. We had a lot of interaction with her before we started filming,” said Gamble. “Dolphins are incredible to work with. They are very talented. We were able to communicate with them through hand signals, and we learned to notice when they were happy or tired. The shape of their eyes change, and that’s when you know it’s time to take a break,” said Austin Highsmith, who played Phoebe, one of the dolphin trainers. “We really knew how to read the dolphins,” Cozi Zuehlsdorff added. “Winter especially with the tweety bird sound she makes when she’s happy. That’s how we get our positive feedback from her.” Zuehlsdorff played Hazel in both films, and her character lives right outside the aquarium, with her on-screen father Dr. Clay Haskett, played by Harry Connick Jr. These movies have helped CMA to expand and care for more animals. 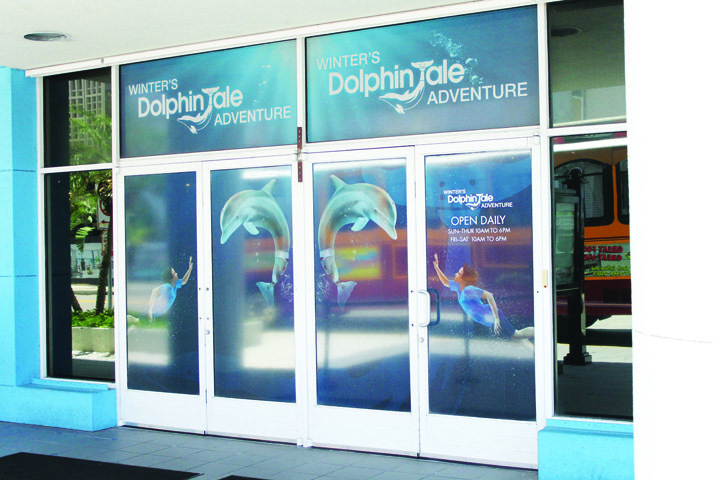 With the price of CMA admission, guests can visit Winter’s Dolphin Tale Adventure for free, and take a free Jolly Trolley ride to go between both locations, which is about a five minute drive. The aquarium features rescued marine animals and facts about marine life, while Winter’s Dolphin Tale Adventure has displays and sets from the movie, as well as a fun and interactive kid zone. For more information, visit www.seewinter.com. 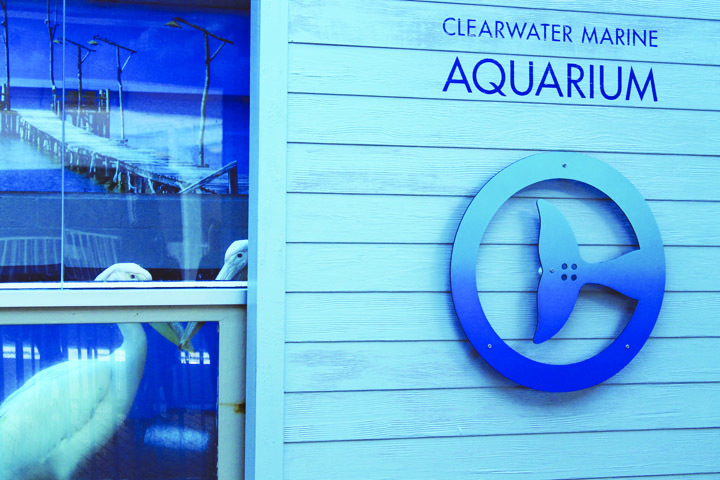 CMA is located at 249 Windward Passage in Clearwater, and is open every day from 9 a.m.-6 p.m.